On Wednesday, Vulture learned of Kristen Wiig&apos;s role in the upcoming fourth season of Arrested Development: a young Lucille Bluth. If Arrested Development fans weren&apos;t excited enough that Kristen Wiig and Seth Rogen would be guest starring on the show, the news that Wiig would be playing a young Lucille was icing on the cake. The series, returning after a seven-year hiatus, will debut season 4 sometime in May on Netflix, releasing all 14 episodes at once. With the announcement of Wiig playing a young Lucille, we got to thinking what other actors could play the other Bluths at different times in their lives. Keep reading for a look at who could capture the essence of each Bluth at a different age. This is the one that is actually happening. And it is exciting. Wiig has a lot to live up to in matching Jessica Walter&apos;s facial expressions and physical humor. Her Bridesmaids airplane scene let us know she&apos;s prepared to portray a drunk Lucille. Let&apos;s just get it out of the way now that this list would be impossible to fulfill. This list isn&apos;t taking time or plausibility into consideration. It only perfectly fits what would be a best case scenario if we really could cast anyone as a younger or older version of our favorite characters. The nerdy kid from Little Giants is perfect to play Tobias, other than the fact that he&apos;s too smart. 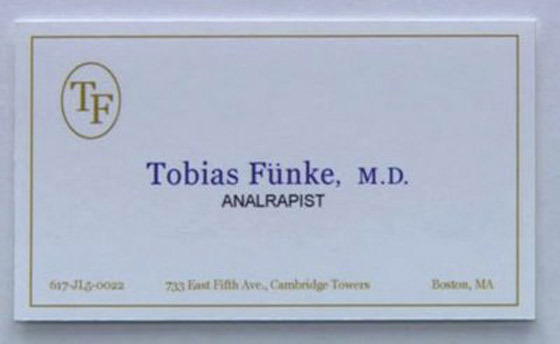 It&apos;s safe to say he wouldn&apos;t make the business cards that Tobias was passing out all around Boston. Ted Mosby has the "get dumped and walk around like Charlie Brown" tendency down just as much as George Michael Bluth does. It&apos;s pretty obvious that Steph may be a little too sweet to play the cynical Lindsay, but maybe Lindsay used to not feel so entitled. One of the supposed reasons Arrested Development was cancelled in the first place was because it wasn&apos;t easy to relate to. Steph would fix that. A real cop out with this one, but it also makes sense. While Cera&apos;s George Michael is a nice kid, he could also play the clueless Michael Bluth who tries to control the chaos of his family. Plus, he would be perfect for some of Michael&apos;s awkwardness. 7. Alan Arkin as an older George Bluth Sr.
George Bluth Sr. is already pretty old. But he might be back in jail. Alan Arkin could be the version of George Sr. that is grumpy and upset from being in jail and is no longer having "the time of his life." You just know that Buster was a weird little kid. Probably even weirder than Beans. I was so proud I thought of this awesome casting until I saw a recent photo of Beans (AHHHHHHH!!!!). It&apos;s hard to say that Paul Walker&apos;s creepball characters in his 90s teen rom-coms could live up to the sleaziness of GOB in high school, but we&apos;d have to give him a chance to try. I mean, "C&apos;mon!" As an aside, it would be fun to see how many illegitimate children Walker&apos;s characters from those movies have. They&apos;re definitely not as cool as Steve Holt. Whether you agree with this list or not, if you&apos;re a fan of Arrested Development you have to be excited the show is coming back. You have to admit that watching these stand-ins try to match the Bluth chicken dance would be must see TV.